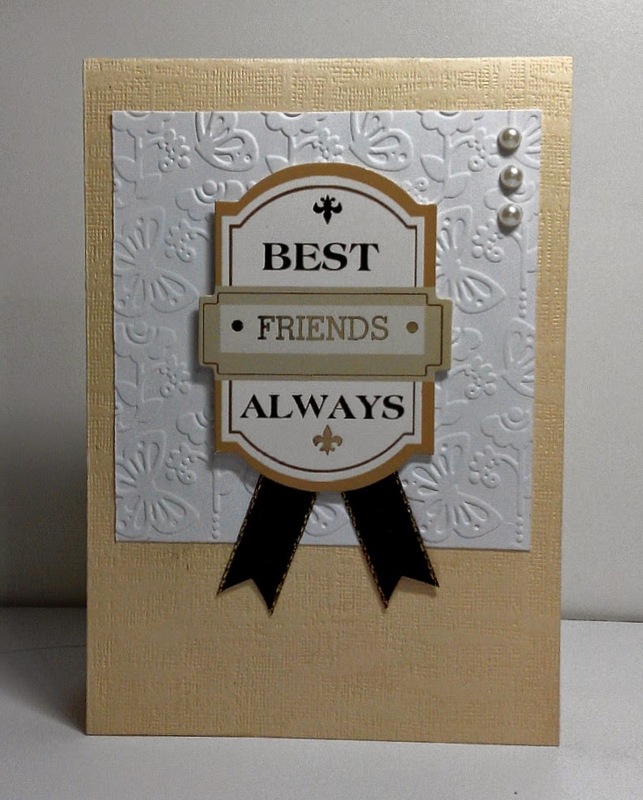 Make this card using pre-printed sentiment and embossed the white card stock with butterfly motif embossing folder. Added some pearls and ribbon as embellishment. Done it based on Crafty Steal Thursday Challenge Sketch. GREAT take on the sketch! I love your badge and banners design as they fits the award sentiment so perfectly! Thanks so much for playing Simon Says Stamp Wednesday “Anything Goes” Challenge!